C6-0-0-0-0-1116 - First Vol. Rifle Company of Guelph, C.W. Jean Bridges (past-pres.) pours tea for Jean Sweet (pres. ), Edna Andrew (Friendship tea convener) and server Saundra Smith. 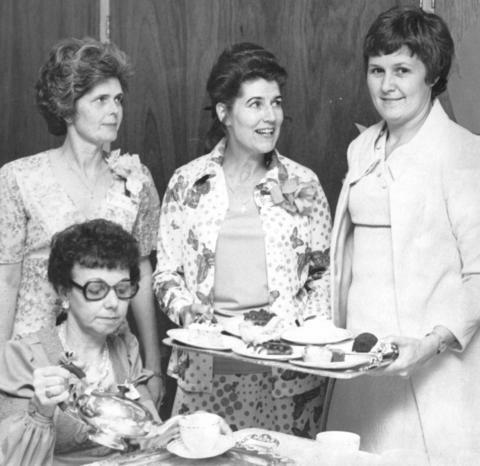 The Anglican Church Women hold their Friendship Tea.